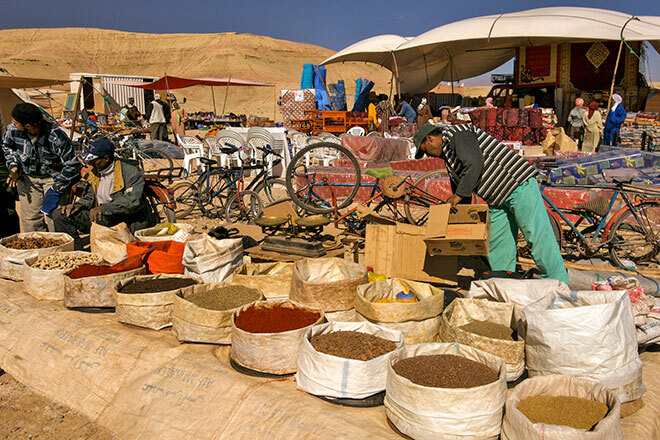 On this Beyond Biking trip you will be treated to the best in Moroccan home cooking, so prepare for a mouth-watering selection of tagines, couscous, pastillas, soups, salads and of course, mint tea. 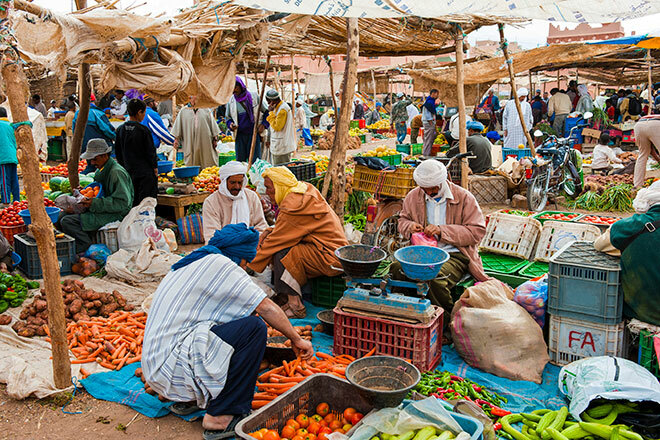 The Berber cooking crew that accompanies you will purchase fresh ingredients every day at the local market before cooking up a storm. 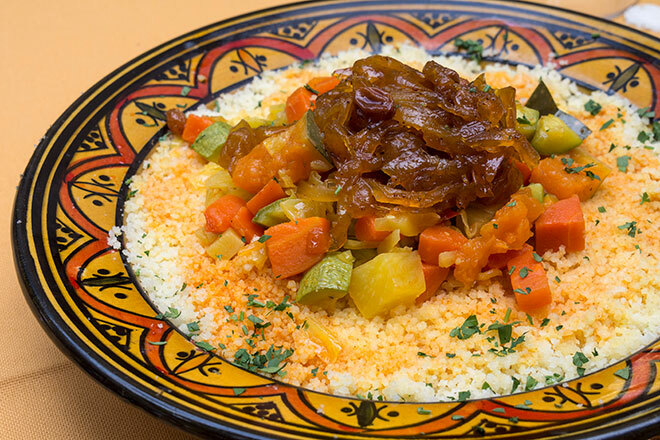 The beauty of eating Moroccan-style is that you buy everything fresh, locally and seasonally before making a special recipe that has been passed down over the generations. 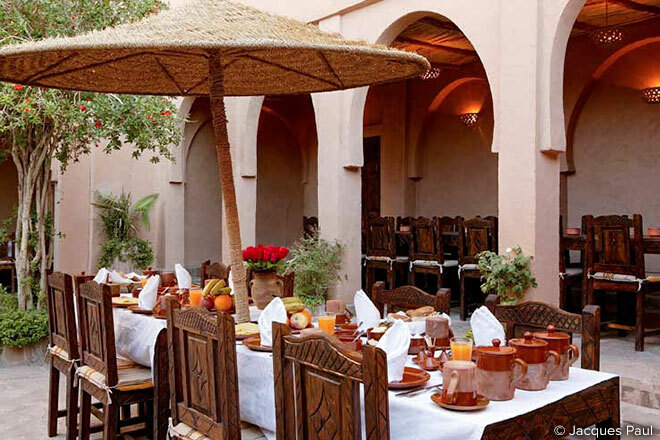 You can eat very well in a restaurant in Morocco, but nothing beats the master chefs you will find in local kitchens of towns and villages across the country. 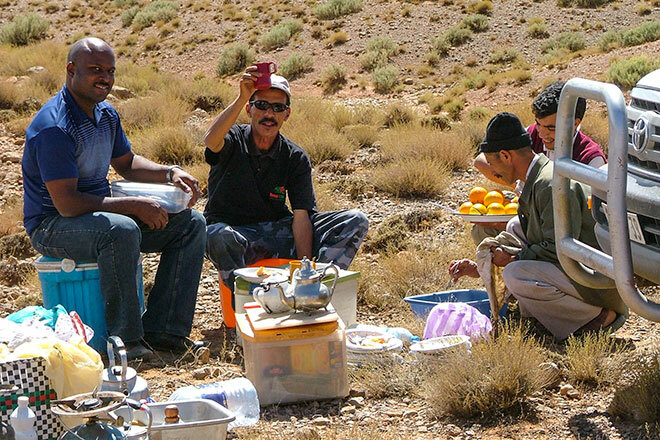 Meal time is family time in Morocco, so special care is taken to prepare all meals with love and care. 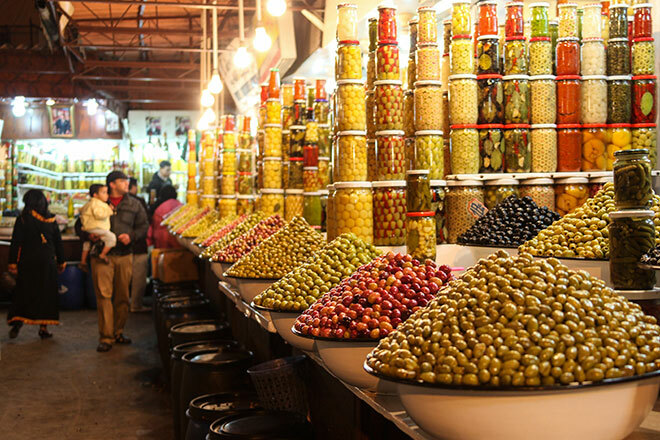 For the duration of this trip you will eat like a local. 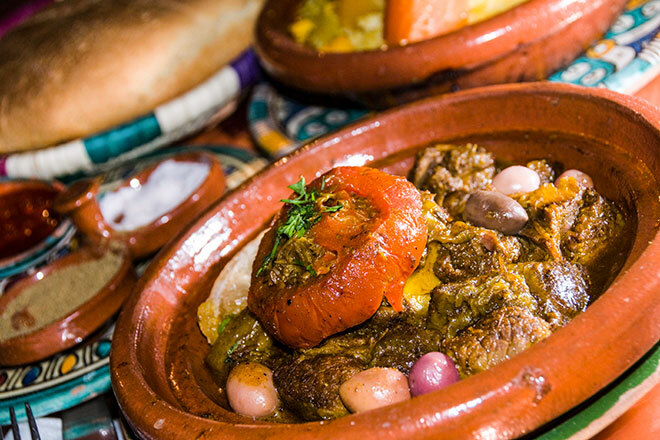 Moroccan cuisine typically blends Mediterranean, especially Andalusian, and Berber influences, so expect lots of flavour and lots of spices. 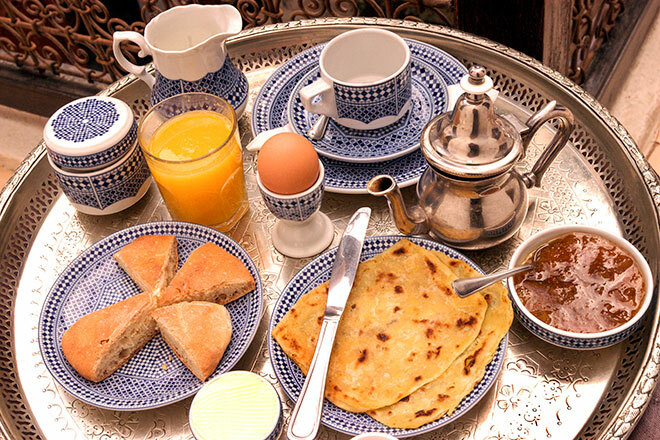 For breakfast, there will be bread with olive oil or marmelade and tea, as well as special Moroccan pancakes. 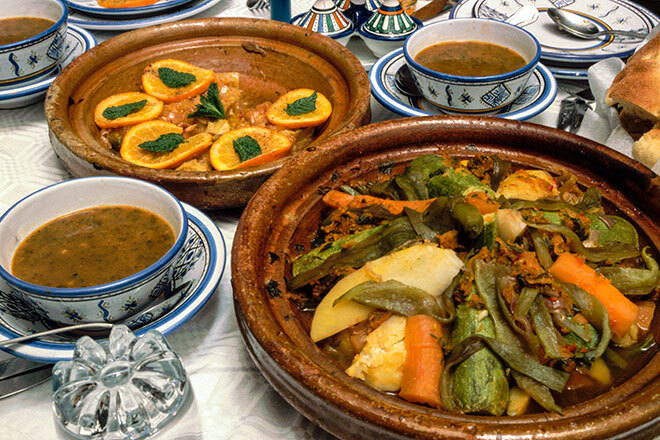 Lunch, for most Moroccans, means a selection of salads and a tagine, couscous or pasta, all put out on the table at the same time. 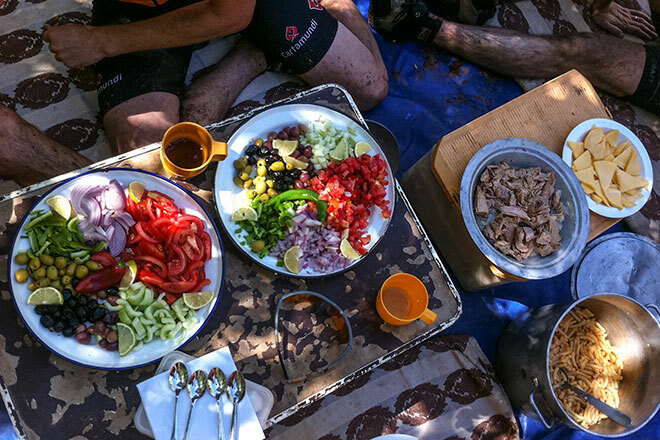 Each meal is followed by a fruit plate and mint tea. After lunch, the cooking crew will start to prepare the evening meal, which starts with harira (a traditional Morroccan soup, usually made with tomatoes and lentils but also chickpeas and vermicelli), followed by an aromatic tagine (lamb or chicken cooked with dates, prunes or almonds), hearty couscous, tasty pastilla (meat-stuffed pastry sprinkled with cinnamon and sugar) or fresh tabbouleh with tuna. 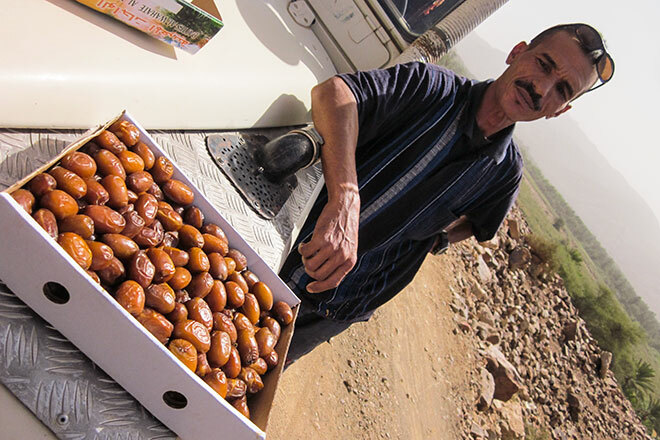 For desert, you can expect some fruit and pastries, washed down with a sweet mint tea. 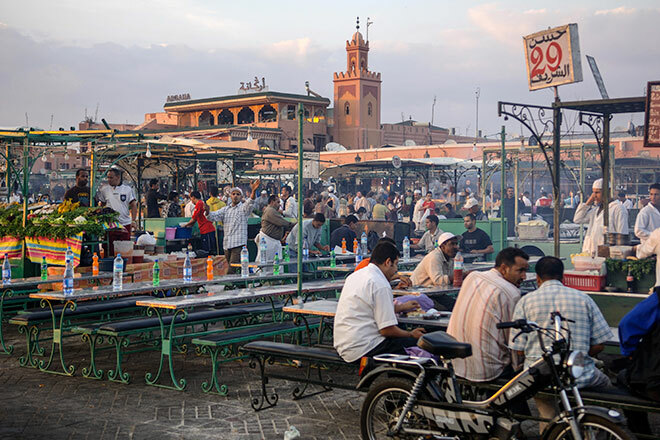 The French introduced wine-making to Morocco and their influence is apparent. 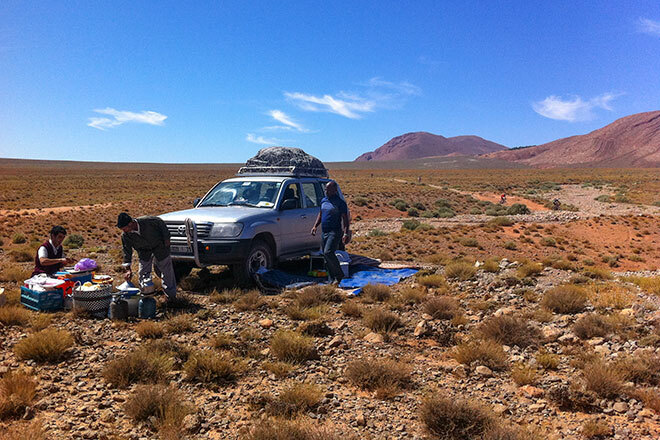 Guerrouane, Domain Sahari Reserves, Beauvallon and Medaillon, arguably the best label in Morocco, all come highly recommended. But you will have to ask one of the crew members to buy you a bottle if you want to take one home with you, as alcohol is not widely available in this Muslim country. 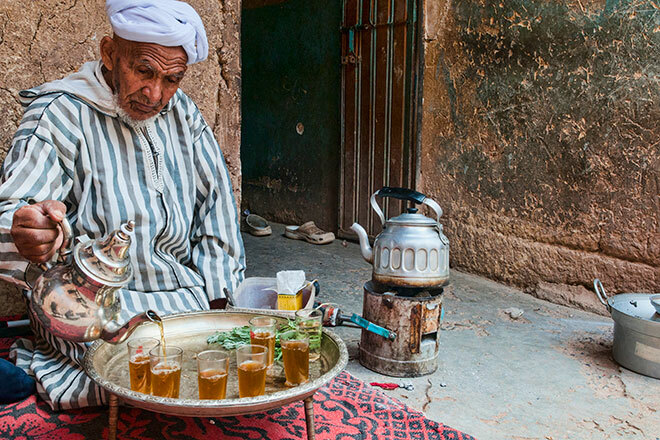 However, Moroccan whisky – which is what locals jokingly call mint tea – is very freely availble, so prepare to drink it in copious amounts.